R22 based on property Mt Vexation. control and the addition of an R44 at Carnarvon Gorge for scenic flights. 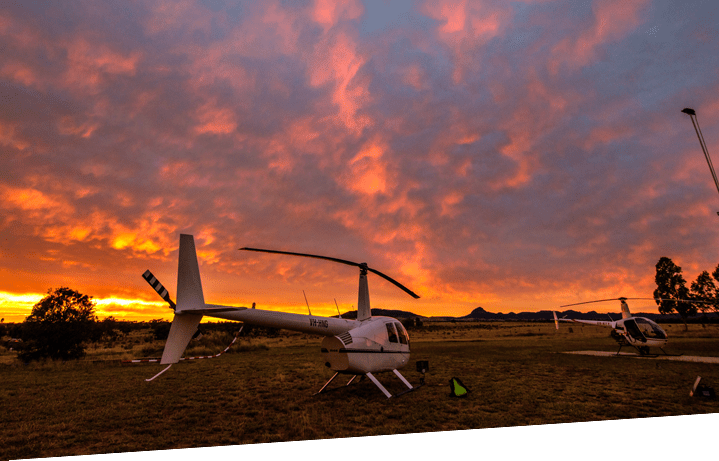 Russell Nobbs – Chief Pilot / Owner leads a team of 10 full time staff members which include six highly experienced pilots, all with a diverse skill set and background to complement Heli-Central’s core operations. Safety is our main priority. Heli-Central undertakes regular performance reviews together with our clients to identify areas of possible improvement. Heli-Central runs a work management system that tracks all activities together with financial accounting software to efficiently manage resources and assets. This reduces overheads and general cost, which consequently reflects in their very competitive pricing.